The Ohio Window Tint Law is a fairly restrictive statue. Because it is restrictive in nature, many people try to test the bounds of legality by tinting their vehicle illegally. This is not wise as it draws attention from law enforcement vehicles and can result in hefty fines to the driver of a car tinted beyond the legal limit. Ohio also allows for a medical exemption. As always, DT Services Window Tinting always suggests to our clients that only legal window tinting should be installed and that residents of Ohio follow the Ohio window tint law. Basically, the Ohio window tint law will not allow for tinting to be applied to the front windows of a motor vehicle if it is darker than a 50% tint. Behind the front seat driver and passenger you are allowed to tint the windows as dark as you want. There is also a 3% tolerance when the film is metered by law enforcement officers. 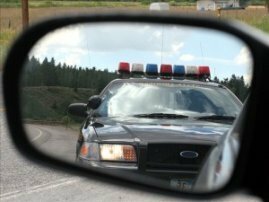 If you drive into Ohio but plate or register your vehicle in Indiana, you are subject to Indiana law and could argue that it is not a violation of the Ohio window tint law to merely drive through their state with your window tinted in a way that conforms to the Indiana statute. The use of colors such as Red, and Yellow is forbidden too, as is the use of reflective (mirror) window tinting. If you really want to see the Ohio Window Tint Law, it is here for you in the next paragraph. But be warned, it's difficult to understand. (A) The director of public safety, in accordance with Chapter 119. of the Revised Code, shall adopt rules governing the use of tinted glass, and the use of transparent, nontransparent, translucent, and reflectorized materials in or on motor vehicle windshields, side windows, sidewings, and rear windows that prevent a person of normal vision looking into the motor vehicle from seeing or identifying persons or objects inside the motor vehicle. (2) Establish residency in this state and are required to register a motor vehicle that does not conform to the requirements of this section or of any rule adopted under this section. (C) No person shall operate, on any highway or other public or private property open to the public for vehicular travel or parking, lease, or rent any motor vehicle that is registered in this state unless the motor vehicle conforms to the requirements of this section and of any applicable rule adopted under this section. (D) No person shall install in or on any motor vehicle, any glass or other material that fails to conform to the requirements of this section or of any rule adopted under this section. (1) No used motor vehicle dealer or new motor vehicle dealer, as defined in section 4517.01 of the Revised Code, shall sell any motor vehicle that fails to conform to the requirements of this section or of any rule adopted under this section. (2) No manufacturer, remanufacturer, or distributor, as defined in section 4517.01 of the Revised Code, shall provide to a motor vehicle dealer licensed under Chapter 4517. of the Revised Code or to any other person, a motor vehicle that fails to conform to the requirements of this section or of any rule adopted under this section. (F) No reflectorized materials shall be permitted upon or in any front windshield, side windows, sidewings, or rear window. (G) This section does not apply to the manufacturer's tinting or glazing of motor vehicle windows or windshields that is otherwise in compliance with or permitted by federal motor vehicle safety standard number two hundred five. (H) With regard to any side window behind a driver's seat or any rear window other than any window on an emergency door, this section does not apply to any school bus used to transport a child with disabilities pursuant to Chapter 3323. of the Revised Code, whom it is impossible or impractical to transport by regular school bus in the course of regular route transportation provided by a school district. As used in this division, "child with disabilities" has the same meaning as in section 3323.01 of the Revised Code. (I) This section does not apply to any school bus that is to be sold and operated outside this state. (a) The vehicle does not have distinctive markings of a law enforcement vehicle but is operated by or on behalf of the law enforcement agency in an authorized investigation or other activity requiring that the presence and identity of the vehicle occupants be undisclosed. (b) The vehicle primarily is used by the law enforcement canine unit for transporting a police dog. (2) As used in this division, "law enforcement agency" means a police department, the office of a sheriff, the state highway patrol, a county prosecuting attorney, or a federal, state, or local governmental body that enforces criminal laws and that has employees who have a statutory power of arrest. (1) Whoever violates division (C), (E)(2), or (F) of this section is guilty of a minor misdemeanor. (2) Whoever violates division (E)(1) of this section is guilty of a minor misdemeanor if the dealer or the dealer's agent knew of the nonconformity at the time of sale. (a) Whoever violates division (D) of this section is guilty of a misdemeanor of the fourth degree, except that an organization may not be convicted unless the act of installation was authorized by the board of directors, trustees, partners, or by a high managerial officer acting on behalf of the organization, and installation was performed by an employee of the organization acting within the scope of the person's employment. (b) In addition to any other penalty imposed under this section, whoever violates division (D) of this section is liable in a civil action to the owner of a motor vehicle on which was installed the nonconforming glass or material for any damages incurred by that person as a result of the installation of the nonconforming glass or material, costs of maintaining the civil action, and attorney fees. (c) In addition to any other penalty imposed under this section, if the offender previously has been convicted of or pleaded guilty to a violation of division (D) of this section and the offender is a motor vehicle repair operator registered under Chapter 4775. of the Revised Code or a motor vehicle dealer licensed under Chapter 4517. of the Revised Code, whoever violates division (D) of this section is subject to a registration or license suspension, as applicable, for a period of not more than one hundred eighty days. (1) Every county court judge, mayor of a mayor's court, and clerk of a court of record shall keep a full record of every case in which a person is charged with any violation of this section. If a person is convicted of or forfeits bail in relation to a violation of division (D) of this section, the county court judge, mayor of a mayor's court, or clerk, within ten days after the conviction or bail forfeiture, shall prepare and immediately forward to the motor vehicle repair board and the motor vehicle dealers board, an abstract, certified by the preparer to be true and correct, of the court record covering the case in which the person was convicted or forfeited bail. (2) The motor vehicle repair board and the motor vehicle dealers board each shall keep and maintain all abstracts received under this section. Within ten days after receipt of an abstract, each board, respectively, shall determine whether the person named in the abstract is registered or licensed with the board and, if the person is so registered or licensed, shall proceed in accordance with section 4775.09 or 4517.33 of the Revised Code, as applicable, and determine whether the person's registration or license is to be suspended for a period of not more than one hundred eighty days. Amended by 129th General AssemblyFile No.168,SB 114, §1, eff. 3/22/2013. The Ohio window tint law is very clouded with legal jargon and language to confuse you and satisfy the legislature - as they are the only ones who actually talk like this. That being said, if you live in Ohio be advised that you are subject to the Ohio window tint law and we suggest you follow it to a tee. So put 50% on the fronts, anything else you want on the rears, and you should be in compliance with the Ohio window tint law. This represents our current understanding of the current Ohio Law on window tinting and should not be relied upon solely as an absolute rendering of the law. Please consult an attorney if you want the most complete and accurate understanding of the Ohio window tint law.